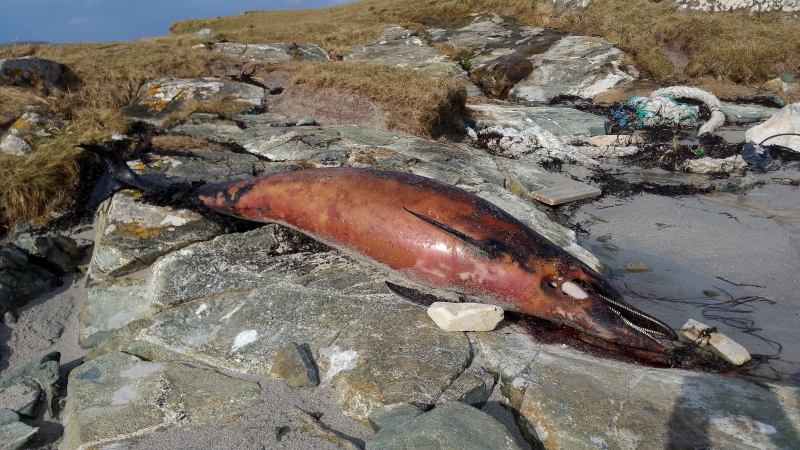 Over the last month or so a disturbing number of Common Dolphins have been washed up on the Connemara coastline. This has been mirrored all along the western coastline of Ireland. I've never encountered so many in such a short period during my nine years based here. 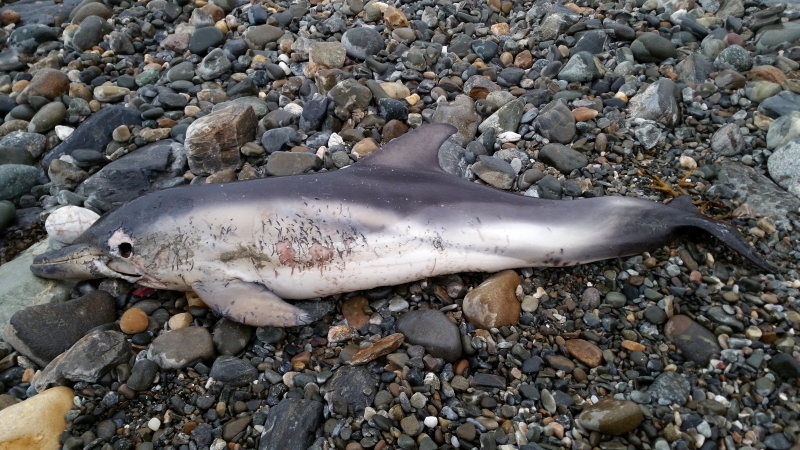 As the name suggests Common Dolphin are by far the most numerous cetacean that is found stranded here. I've only ever death with one live stranding. 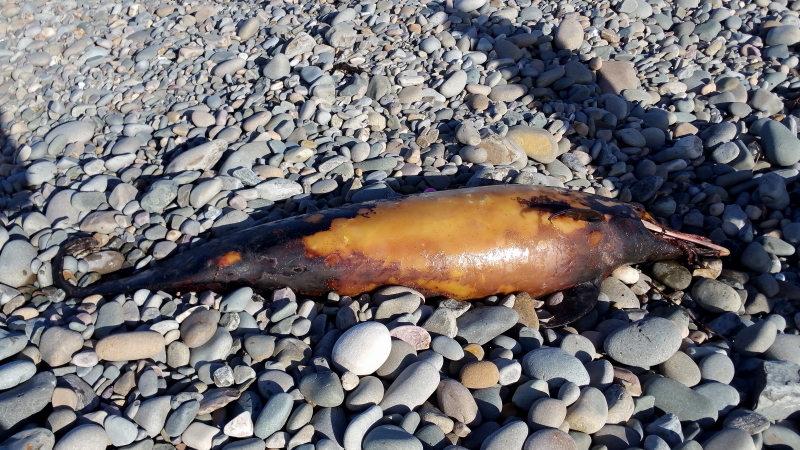 Of the six recent Common Dolphins I've seen four appear to have died around the same time period. 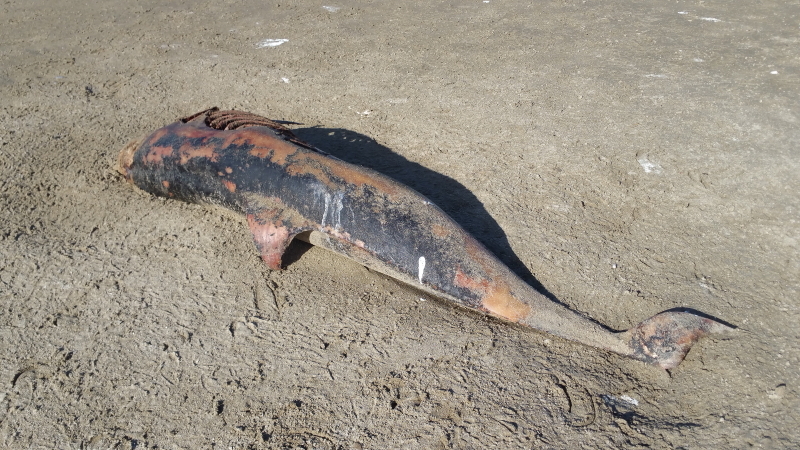 Two of the animals had broken upper mandibles which has been suggested to be a sign of mortality from fishery bycatch. 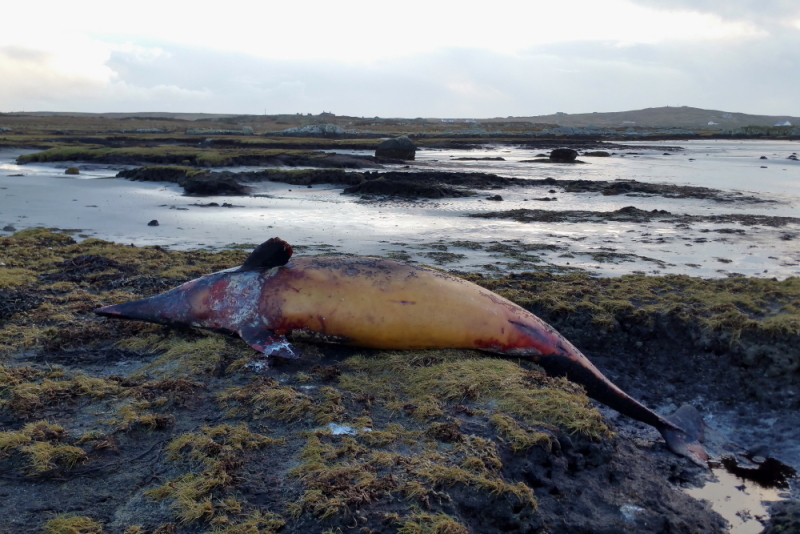 IWDG have recorded a record breaking cetacean stranding year on year and 2018 already looks like it is going to out do 2017. 267 stranded cetaceans were recorded in 2017. 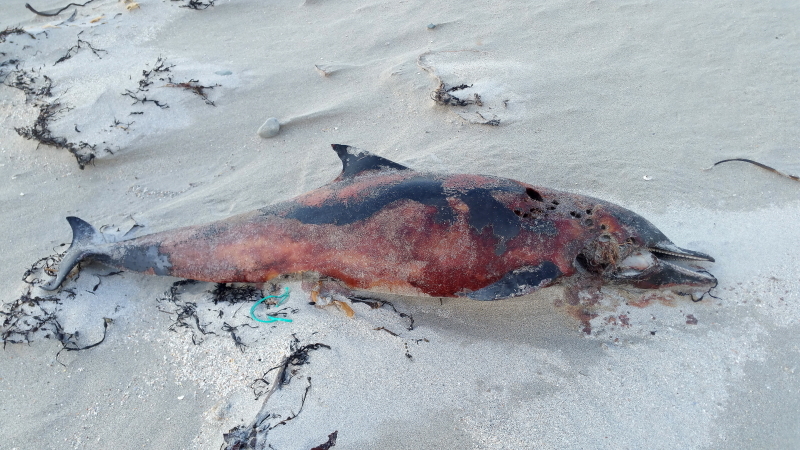 Have a look at this recent piece on this recent mortality event of Common Dolphins. "Common Dolphins Dying in Ever Increasing Numbers in Ireland"
Very young male calf Common Dolphin, Tully Beg, 12th February 2018. Adult Common Dolphin, Rossadillask, 25th January 2018. Adult Common Dolphin, Lettergesh East, 21st February 2018. Adult Common Dolphin, Aillebrack, 23rd February 2018. Broken lower mandible. Note the ironic marine litter in the background.. Adult Common Dolphin, Aillebrack, 23rd February 2018. 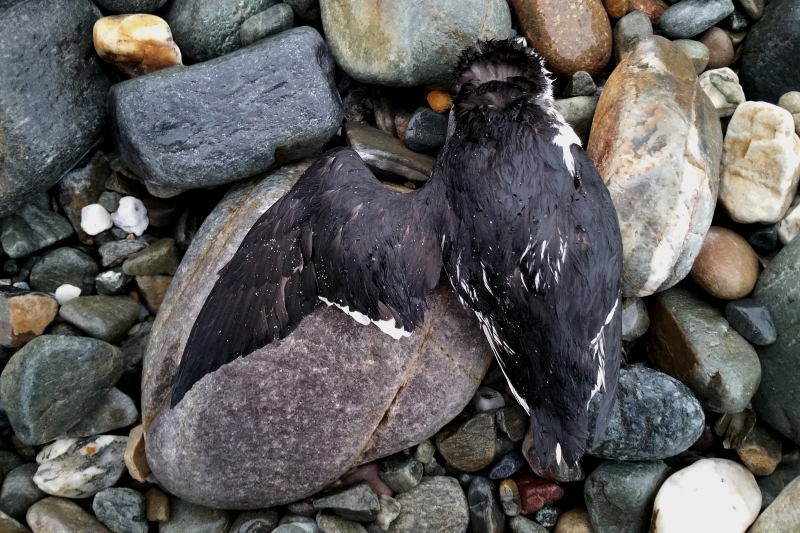 A few other bits and odds during my recent local travels were this very freshly dead Little Auk found at White Strand, Tully Beg while visiting one of the stranded Common Dolphins. 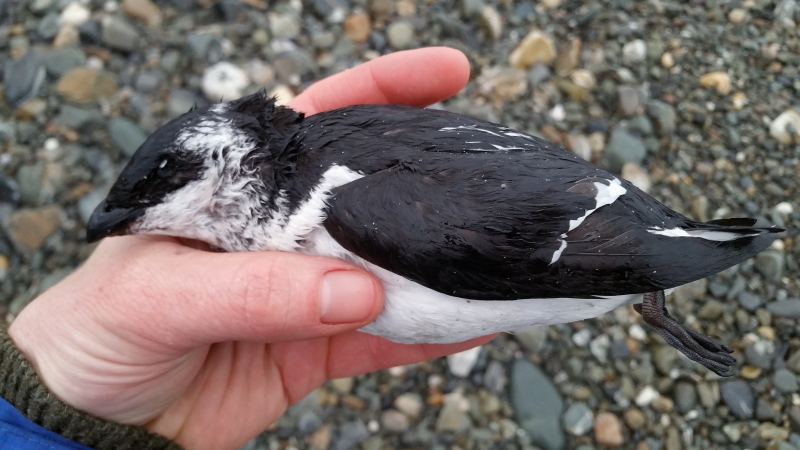 I've only had a handful of Little Auks ever. They do seem to be rather rarer in the last decade or so. I also had the colour ringed AJAT Mediterranean Gull again in Mannin Bay on 14th February. This bird was ringed at Pionierinsel Lühe, Steinkirchen, Stade, Niedersachsen, Germany as a chick on 17th June 2006. I first had it at Mannin Bay on 22nd October 2012. I've had it here on and off since including once up at Omey Island which is only 12km away. It has also been re-sighted at Presall Sands, Pilling Lane, Lancashire England and Wissant, plage, Pas-de-Calais, France in 2006 and 2007 respectively. It returns to breed around the Hamburg area of Germany sometimes on an island on the Elbe River and once on a factory rooftop. Iceland and Glaucous Gulls continue to be seen in good numbers throughout Galway. A white phase Gyrfalcon was seen sitting on the side of the road beside Bunowen Pier, Ballyconneely by Graham Roberts on 13th February at 0130hrs in the middle of the night. Graham initially thought it was a Herring Gull but on a second look realised it was an unknown bird of prey. He tried taking a photo with his phone but realised his battery was dead so he drove back to the house to collect a camera. Ten minutes later when he returned the bird was still present! It later flew off into the darkness so it was probably just exhausted and not physically injured. It may have been offshore and hit mainland after sunset. Unsurprisingly it was never seen again :-( Another (same?) Gyr was recently seen up on the Mullet peninsula by Dave Suddaby. I shudder to think of how many I've dipped on now at this stage. It has to happen one of these day fingers crossed! 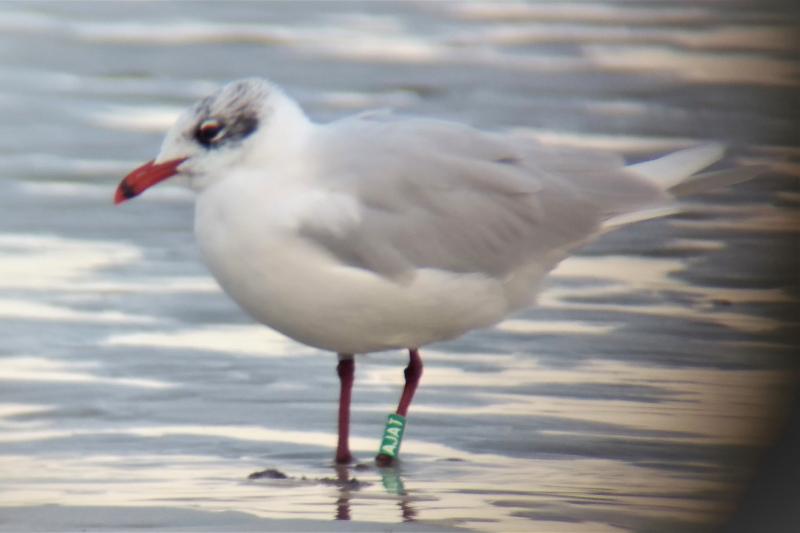 German colour ringed adult Mediterranean Gull, Mannin Bay, 14th February 2018.